Pakistan Tehreek-e-Insaaf’s senior leader Jahangir Tareen was found guilty of an insider trading, eight years ago. Although, he has returned Rs70 million that he made illegally, informed the apex court on Tuesday. As the three-judge bench of the apex court is set to resume hearing of the case which was filed by PML-N’s leader Hanif Abbasi, to seek ban on PTI’s general-secretary on Wednesday. Amid the hearing, the Securities and Exchange Commission of Pakistan (SECP) has submitted a concise statement, which may give this case an interesting level. 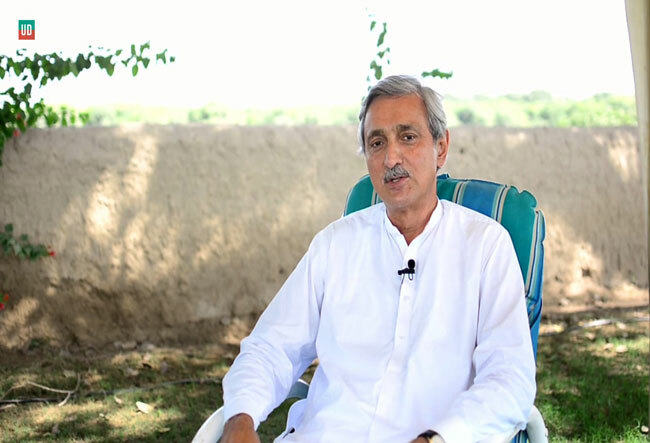 The statement was rejected by Jahangir Tareen, saying that no “admission” or “confession” as ever made by him in relation to the subject. The SECP has further said that Jahangir Tareen Khan being director of the JDW was authorized by its board of directors to negotiate the acquisition of the USML. Hence, he was ‘in the know’ of all the inside information during the acquisition of the USML, and consequently made a hefty gain of Rs70.811 million in violation of Section 15A of the Securities and Exchange Ordinance-1969. Furthermore, the statement revealed that Tareen acquired 341,780 shares through M/s Haji Khan and Allah Yar and made a gain of Rs70.811 million through the sale of his shareholding in the USML, in the stock market and under the public offer made by the JDW in October 2005. The PTI general-secretary voluntarily offered to return his illegal gain of Rs70.811 million, recoverable under Section 15-B (3) of the Ordinance of 1969 along with maximum fine of Rs1.258 million under sections 214, 216, 217 and 222 of the Companies Ordinance 1984 and Section 4 of the takeover ordinance. The SECP’s January 11, 2008 letter, Tareen was directed to deposit the illegal capital gain made out of insider trading along with all fines applicable for contravention of the relevant provisions of laws. The SECP has praised the role played by the apex court saying that it ran the probe of the entire matter very vigilantly, which concluded as return of entire illegal gain and recovery of penalties for contravention of relevant provision of laws.